So What to Cook When Entertaining Food Pros! 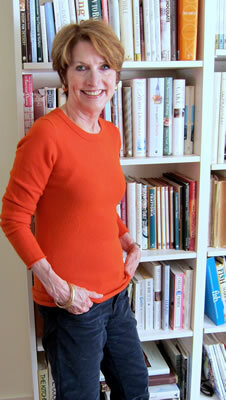 Last weekend I invited four food professionals for wine and appetizers at our house. 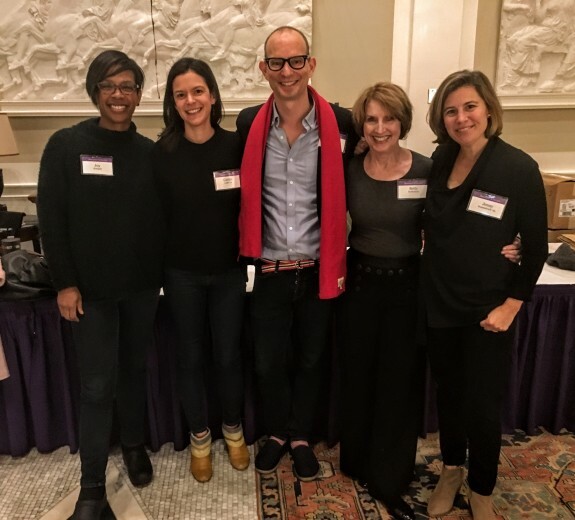 It was family weekend at Amherst College and I was to be a moderator for a session called “Rewarding Careers in the Food World.” Ted Lee, part of that celebrated duo, The Lee Brothers of Southern cooking fame, Jenny Rosenstrach author of the just released How To Celebrate Everything, Joy Howard, a talented food stylist, and Caitlin Leffel, my terrific food editor at Rizzoli for Soup Nights were the panelists. So what to serve them? 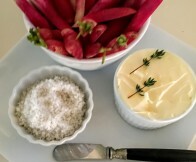 I wanted the nibbles to be simple, seasonal, and reflect our local food scene. Roasted Grape and Goat Cheese Toasts, French radishes (from my farmers’ market) served with sweet butter and sea salt, and a platter of New England cheeses including two Grafton cheddars from Vermont and an artisanal blue, were on the menu. The most popular appetizers of the evening, though, were the savory palmiers with white cheddar, pears, and cumin. Palmiers (French for palm tree), also know as elephant ears, are sweet confections prepared with puff pastry sheets that are rolled in from both sides and sprinkled with sugar. For my savory version I spread purchased puff pastry with honey mustard, topped that with grated cheddar, then with diced pears, and finally with toasted cumin seeds. The pastry was then rolled, chilled, and sliced before being baked. 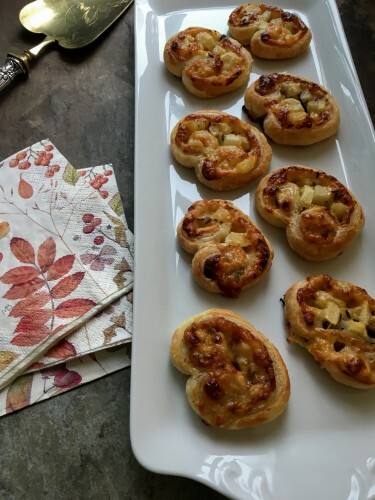 Served hot from the oven, these pinwheels with their crisp, golden pastry enclosing a cumin-scented filling of melted cheese and juicy pears, proved irresistible. I watched, smiling, as they quickly disappeared! 1. Thaw a pastry sheet at room temperature for about 30 minutes until easy to handle, but still quite cold. 2. While the pastry is defrosting, place the diced pears in a bowl and toss with the lemon juice. Then whisk together the mustard and cayenne pepper in a small bowl. Have the cheese grated and the cumin seeds toasted and set aside. 3.Cut a sheet of parchment to fit a baking sheet, but do not line the sheet with the paper. Clear some space in the freezer for the baking sheet with the pastry to chill. 4. On a lightly floured surface, roll the puff pastry sheet into a 12 x10 inch rectangle and transfer to the baking sheet. Freeze for 10 minutes until the pastry is firm. Then remove the pastry on the baking sheet from he freezer. Brush the mustard/ cayenne mixture over the pastry, leaving a 1/2-inch border all around. Sprinkle with cheese. Then scatter the diced pears over the cheese and sprinkle with cumin seeds. 4. Starting at one long side, roll the pastry tightly, jelly-roll style, just to the middle; then roll up other side in the same way, and press the two rolled sides together. Place the roll still on the baking sheet in the freezer for 15 minutes to firm for cutting. 5. Meanwhile, arrange a rack in the middle of the oven and preheat oven to 400 degrees F.
6. Transfer the rolled pastry to a cutting board. Line the baking sheet with the parchment paper. Then, with a serrated knife, cut the roll into 1/2 inch-thick slices, discarding the two end pieces without any filling. Arrange the palmiers an inch apart on the baking sheet. Pinch the sides of each one together to make sure the filling is tightly encased with pastry. Refrigerate 15 minutes. 6. Beat the egg with 1 teaspoon water and brush lightly over the tops of the palmiers. Bake until puffed and golden, about 18 minutes. (The palmiers can be baked a day ahead. Cool and store in an airtight container. Reheat on a baking sheet in a preheated 350 degree oven until warm, 5 minutes or longer.) Arrange on a platter and serve warm or at room temperature. Makes about 18 palmiers. Cooking tip: To toast cumin seeds, place in a small, heavy skillet over medium heat, and stir or shake the pan often, until the seeds have become a darker brown and are fragrant, 4 to 5 minutes. Watch carefully. Remove and cool. 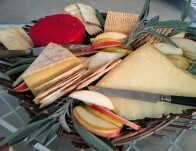 This entry was posted in Food News and tagged cheddar, cumin, fall, palmiers, pears by brosbottom. Bookmark the permalink. Thanks, Laura, for your note. 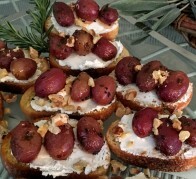 I love these and made them ahead for my wine and appetizers party, then heated them in the oven for a few minutes!